Surf holiday in the Algarve find a Surf Camp in the Algarve, enjoy the Surf in Arrifana, Carrapateira, etc. 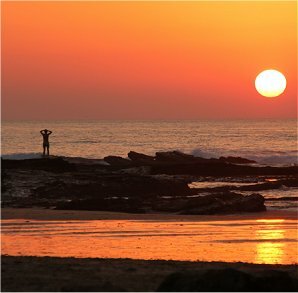 Welcome to the best surf spots in the Algarve in the nature reserve of Costa Vicentina in Aljezur. Here in the Western Algarve you can combine surfing, nature and relaxation. 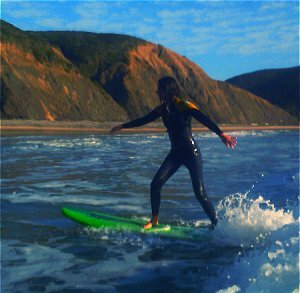 At the central nature beaches as Arrifana, Monte Clérigo and Amoreira you find the best waves to surf in the Algarve for starter, advanced and experts. Not only in the summer but also in spring and autumn the weather and waves are ideal for surfing in the Algarve. Plane your surf holidays in the Algarve with us, we offer excellent prices for best professional service. b)	Privet accommodation +Surf lessons (privet room, apartment, house). 175,- € for 2 people/ double room/ privet bathroom. Surf courses: Included: Certificated surf teacher, surf material, transport, insurance. The Surf Camp:Located 10/15 min walk (1 min drive) to Arrifana beach, 5 min drive to Monte Clerigo beach. 1180 m2 madure garden. Maximum 10 people, 4 rooms with private bathroom. Facilities: Wi-Fi, big outdoor space, dishwasher + washing machine, BBQ, Comfortable rooms. Relaxed atmosphere! Close to good restaurants, walking distance to the beach. Privet Accommodation: Big choice os privet accommodations, rooms, apartments , holiday houses with or with no pool. Transport to beaches with surf course.